The Definitive Guide to Having It All—And Then Some! Feminism is all about demanding equality and learning to love yourself. But not too much – men hate that! From the writers of Reductress, the subversive, satirical women’s magazine read by over 2.5 million visitors a month, comes HOW TO WIN AT FEMINISM: The Definitive Guide to Having It All—And Then Some! “This hilarious book from the creators of the satirical website Reductress is sure to make any feminist laugh. 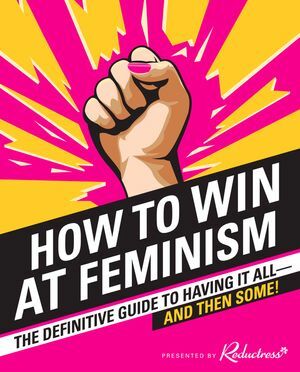 Filled with chapters like, ‘Menses: The Original Feminist Accessory’ and ‘How to Get Catcalled for Your Personality.’” - Bustle, "10 Holiday Book Gifts that Even The Pickiest Person On Your List Will Love"
“a clever holiday gift for any family member who thinks Beyoncé invented feminism” - Paste, "Reductress's Creators on How to Win at Feminism in a Nation Reduced"